Many Children Under 5 Left to Their Mobile Devices— Should We Be Alarmed? Home » Health News » Many Children Under 5 Left to Their Mobile Devices— Should We Be Alarmed? According to a cross-sectional study published by the American Academy of Pediatrics, young children in urban, low-income, minority communities have near “universal” exposure to mobile devices and most have their own device by age four. Study results revealed that three-quarters of children were given tablets, iPods, or smartphones by age four and were using their devices without supervision. The study involved 350 children between the ages of six months and four years old between October and November 2014. Children were seen at pediatric clinics in urban, low-income, minority communities. According to a survey done by Common Sense Media, 72% of these children aged eight or younger used a mobile device in 2013, compared to 38% in 2011. For the survey, 350 parents, who were mostly African-American, filled out a questionnaire while they visited Einstein Medical Center in Philadelphia. Although the survey relied on self-reported data from parents, experts say that the results add to evidence that the use of electronic devices has become deeply integrated into the childhood experience. The survey wasn’t nationally represented, but Dr. Michael Rich, director of the Center on Media and Child Health at Boston Children’s Hospital, suggests that exposure to mobile devices among children elsewhere in the country might not be that different from the Philadelphia survey results. “They are putting their children to sleep in an environment that keeps them from going to sleep,” said Dr. Rich. The American Academy of Pediatrics previously recommended complete screen abstinence for children under two years of age, but it now advises setting time limits when it comes to allowing toddlers to use devices. Parents who participated in the survey reported that their children sometimes used mobile devices for passive entertainment or to watch videos. 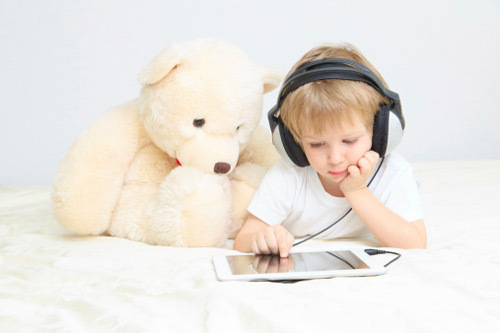 Some experts believe it’s still not clear whether the use of electronic devices harm children. Saint Louis, C., “Many Children Under 5 Are Left to Their Mobile Devices, Survey Finds,” New York Times web site; November 2, 2015; http://www.nytimes.com/2015/11/02/health/many-children-under-5-are-left-to-their-mobile-devices-survey-finds.html?ref=health&_r=0.